Sierra Madre Research, or SMr, sent me both the xPlor and the Pares hammocks that complete their lineup of hammocks. These hammocks are designed as a matched pair, to be integrated into the SMr shelter, the Nubé. Of course, the hammocks can be purchased separately and can be used like regular recreation hammocks, which adds to their modularity. When stacked, the xPlor above the Pares, they create bunk bed hammocks, or “Hambunks” as SMr likes to say. Carabiner and hammocks with both the xPlor (top) and Pares (bottom) connected together in “Hambunk” mode. Pares (pronounced “Paris”) and xPlor hammocks use high thread count, plain weave nylon fabric with DWR treatment that has a nice silky hand. The fabric has a stretch to it that is more noticeable to me in the xPlor, due to its smaller size. The xPlor hammock is shorter than many common hammocks at just under 9 ft (106 in/295 cm), and I found the fabric stretched enough to barrel me into a position where my shoulders squeezed too much to be comfortable. It was very difficult to lay diagonally for me. 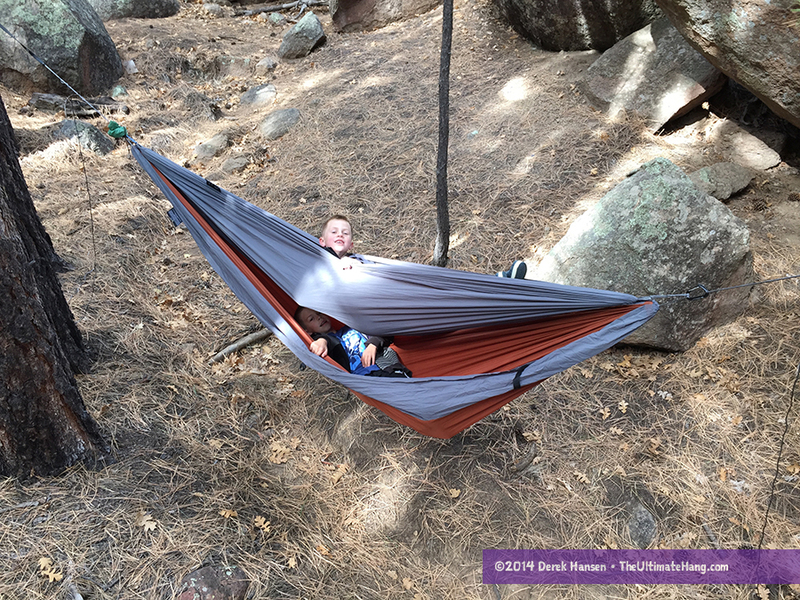 My young son was just about the right size for this hammock, however, and slept comfortably during our trek together. The xPlor is designed for smaller frames, up to 5 ft 6 inches (168 cm) or shorter. The hammocks are gathered at the ends with a loop of Amsteel that has been threaded twice through the channel. The workmanship is very high-quality, with even and straight stitching throughout, and excellent assembly. The Pares is perfectly sized (big, actually) and I got a good lay when sleeping diagonally. The Pares hammock has grab handles located on the edges that allows the occupant to reach and pull into a better position. I never found them very useful as I am more in the habit of grabbing the sides of the hammock rather than reaching over my head to reposition myself. 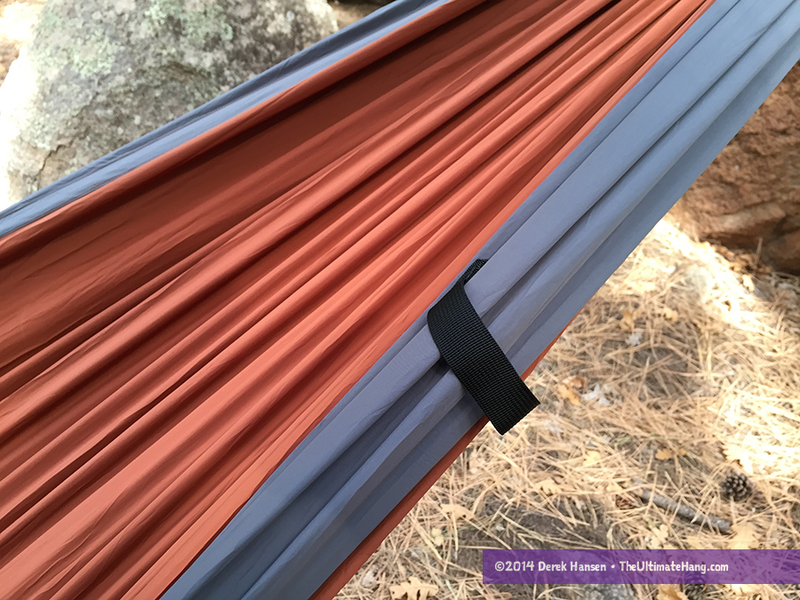 The Pares also includes clips that match to the Nubé shelter that holds the hammock open, and can also be used (with a carabiner) to clip the hammock closed like a cocoon or to clip items to the hammock. The strap system (EZSlings) were designed to accommodate two hammocks by using stronger 1/8 in (3.175 mm) Amsteel. This allows the two hammocks to easily stack on the same suspension system. I often stack hammocks with my kids, but on separate suspension lines. With my son above me in the xPlor, the sag wasn’t extreme, but when I added an under quilt to his hammock and my top quilt/sleeping bag on me, there wasn’t much breathing room between the two hammocks. It was just a little tight. 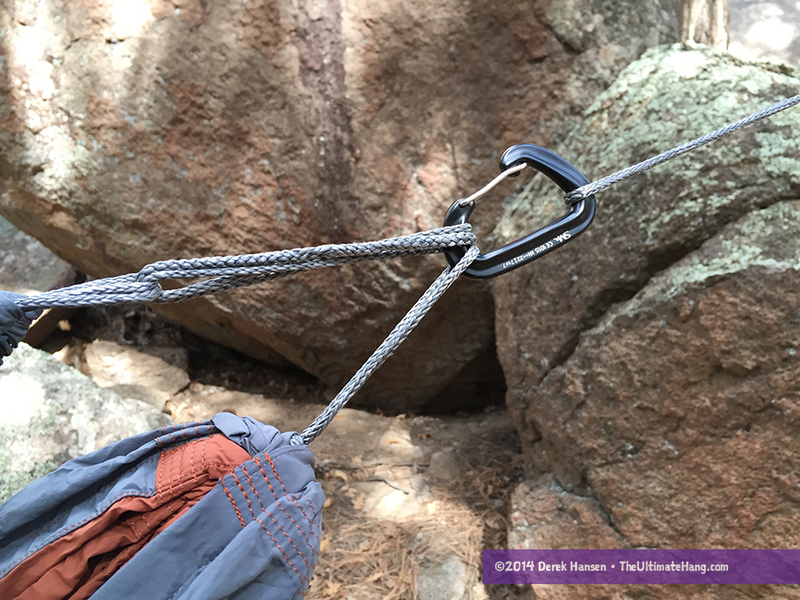 If you use the same suspension system, such as the SMr EZSlings, you can move the xPlor (or other hammock) higher up the suspension to adjust for varying levels of sag and distance. Like the all of SMr’s products, each feature is tagged with a label that includes a scannable QR code that takes you to video set-up instructions. I’m a big fan of QR codes and this is one place where they are very helpful, especially for new hangers or if you aren’t sure how all the components fit together. The xPlor hammock comes in a petite, simple stuff sack that easily packs down about the size of a 1L Nalgene and can squish a little smaller. It makes a nice small package, and makes a great option to throw in a day pack, purse, or gym bag to pull out to make a makeshift lounger. For its size, the xPlor isn’t as light as you might expect. It’s about 4 oz (113 g) heavier than the lightest hammocks on the market, even though they share very similar dimensions. The Pares has a much more elaborate stuff sack that gives ENO and KAMMOK some competition. The pouch is located off-center, which is uncommon for gathered-end hammocks. It’s a little out of the way in terms of using it in hammock mode to store personal items, but isn’t completely inaccessible, depending on how you lay in the hammock. 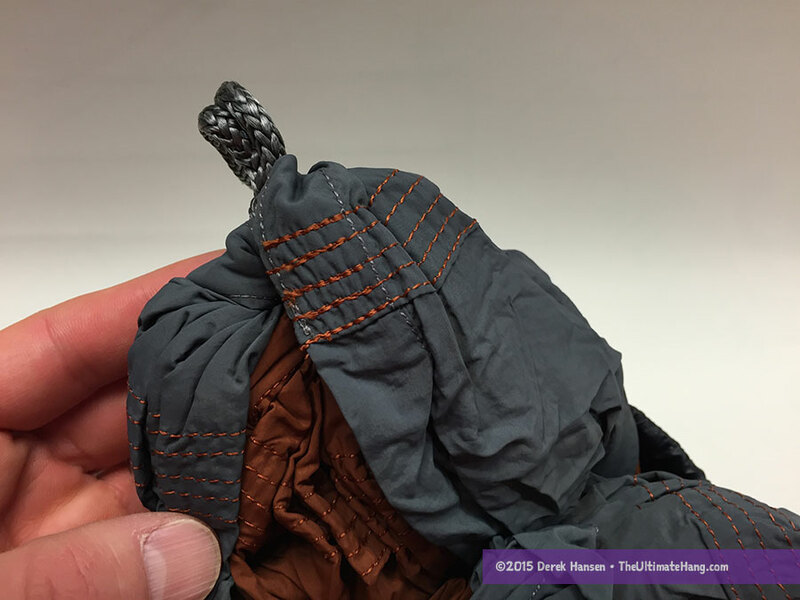 The Pares stuff sack is actually a little easier to connect and compress than either ENO or KAMMOK brands. If you are planning to purchase the Nubé shelter, getting the Pares is a nice option because of how the two work well together. The hammocks do have a nice-feeling fabric that reminds me somewhat of the new Argon, HyperD, and PolyD fabrics, but it stretches a little more than I anticipated. 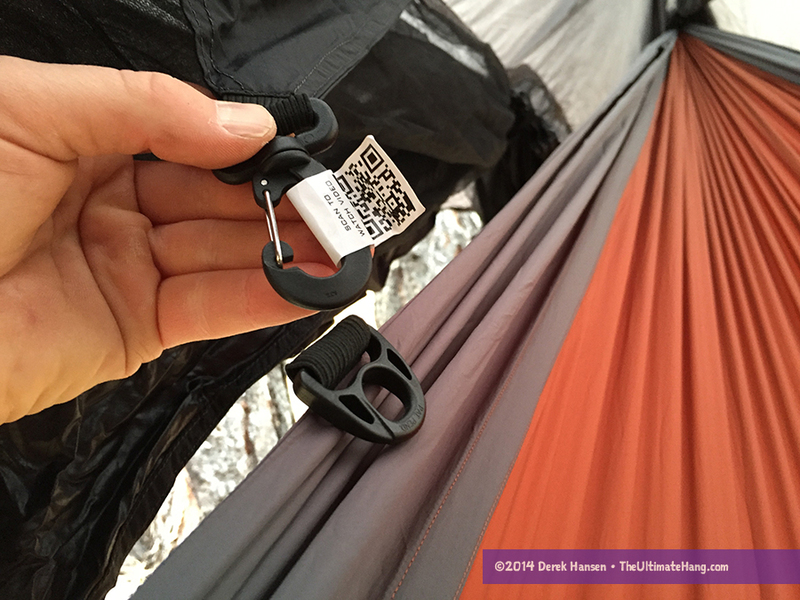 The prices are in line with the quality materials and construction used and are a good comparison to the KAMMOK Roo. Awesome review. I am looking at the Nube and Pares. Good to know its quality. Do you know when youll have a review of the Nube? There are very few out there. I only found one other review and really like different points of view. Would love to know how the Nube works with the Pares but also with other Hammocks like Eno Double Nest or Kammock Roo. Keep up the good work. You have a great balance of Opinion and Facts. Where do you tend to find the sweet spot in the Pares? I’ve added an adjustable ridgeline and some woopie slings to try and help myself get the right sag and sleep on the diagonal, but I just feel like I’m missing out. The fabric seems very resistant, I get some (not a ton) of shoulder squeeze, and my head seems far too elevated (I hang my foot end about a foot higher than my head end to try and help with this). Any advice? To be blunt, the Pares may not be a good match for you. In my own experience, I have other hammocks I find more comfortable. It’s really a personal choice, and I wouldn’t get too worried if the Pares just doesn’t fit well. The fabric flexes more and is less to my liking (more shoulder squeeze, harder to find a sweet spot). Other people like that type of stretch. You may try a firmer fabric style, like the Therm-a-Rest Slacker single. I was thinking of ordering a WBBB XLC single 1.7. I know it’s very popular, alongside the original blackbird. Do you think it would offer a substantially more comfortable night’s sleep? It’s a little bigger than the blackbird but I would only get the XLC if I were taller than 6 ft and/or wanted four season modularity. I am 6″2 so the increased size would help, and I really like the option of removing the bug net. Would you think I would get a substantial increase in comfort though, or would I be better off ordering a ridgerunner or something else entirely? I’m new to camping and have two boys in cub scouts, the older crossing over to boy scouts in the winter. I’m researching gear for camping and found your site. From what I’ve seen so far, it’s excellent. When you review gear, do you look at it from different levels of experience? Do you have something that says this is good for beginners or experts, and so on? Good question, Dan. The most complicated part of a hammock, in terms of technical things, is rigging it up with the suspension. I have a post specifically addressing suspension systems for new hangers, but the basics are pretty easy to master. I highly recommend getting my book, which has a lot of info on setting up a hammock right. I have a Pares, only to use on my lower porch at the house. I can’t get it to hang right. I’ve used the hang calculator, a tape measure, I have the numbers perfect. My issues, tight on shoulders, head to high, just too tight end to end. I follow all the numbers, but hang angle is not even close to 30. Suggestions? I’m 6′ 230#, but my grandson, about 5’6″, 130#, has similar issues. The other mitigating factor is the fabric itself. This is a variable I cannot account for in the calculator: accounting for stretch. I’ve had the exact same issue in a number of hammocks, the SMR hammocks are one. If the fabric stretches too much, even a proper hang won’t solve the problem of bottoming out in some hammocks. Some lightweight fabrics have this same issue. I’ve developed “ruts” in some hammocks where my body will just slip into and I’m stuck in that angle. Sometimes that adversely affects the shoulder squeeze and lay angle. I would try a different hammock. Some of the diamond weave nylon and polyester fabrics are less stretchy. If you were to compare SMR Pares and Kammok Roo for a tall guy of 1.86 and small girl of 1m60, which one would you choose ? In terms of softness of the tissue, which one is standing ? They are both solid and professionnaly crafted. I’d get the larger Roo for your size. The SMR has nicer cozy fabric but it also stretches more. Not a big deal for many. You’re right, sorry! I mixed it up with their smaller hammock. So size-wise, about the same. The Pares has a softer feel, but more stretchy.